Yoghurt manufacturer Chobani Australia has launched a new ‘breakfast on-the-go’ range, Chobani Oats, in Australia. 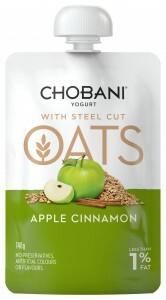 The Chobani Oats product combines Chobani strained Greek-style yoghurt with steel-cut oats and fruit. Chobani Australia manufactures its products in its $30 million factory at Dandenong South in Victoria and distributes to retail outlets across Australia and to the Asia Pacific region. Chobani Australia also produces the Gippsland Dairy Twist brand and specialty cream products under the Gippsland Dairy label. Available in four flavours, including Apple Cinnamon, Banana Maple, Cranberry and Coconut, Chobani Australia said its new Chobani Oats range is “high in protein, low in fat and a source of fibre”. The Company said the Chobani Oats range is “free of preservatives, artificial colours and artificial flavours”. “Our new Chobani Oats range provides an exciting and convenient way for busy people to enjoy a wholesome breakfast,” said Emily Houlahan, Accredited Practicing Dietitian and Communications Manager for Chobani Australia. “We could have used regular rolled oats, but instead we’ve used carefully selected steel-cut oats from Australian cereal farmers. They’re husked and cut, then slow-cooked over low heat with our real fruit preserves, helping each one hold its shape and flavour,” she said. “Oats offer a source of fibre, which paired with our protein-packed Chobani Yogurt makes for a filling breakfast with a chewy texture and delicious taste,” Ms Houlahan said. Chobani Australia Managing Director, Peter Meek said Chobani Oats in a pouch was a “world-first innovation”. “In 2013, we launched our Chobani Yogurt in a pouch format in response to feedback from our fans that they would love to enjoy our yogurt while they’re out and about,” Mr Meek said. “We noticed that many people were buying our pouches as a portable breakfast,” Mr Meek said. “While there are numerous on-the-go breakfast products on market, most fail to deliver a true breakfast experience. 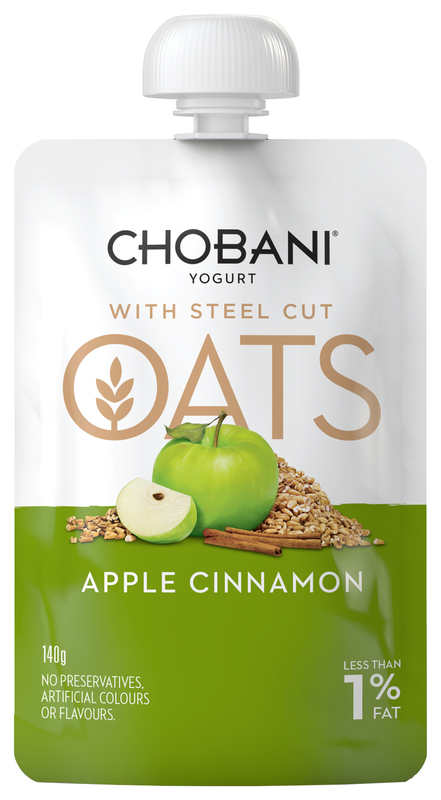 We believe consumers have great taste, they just need great options, so we’re excited to bring more choices to our Chobani fans and portable breakfast consumers with Chobani Oats,” he said. Chobani Oats (140g) are available in the yogurt isle of Coles and Woolworths supermarkets and at leading independent stores nationally, for RRP of $2.89.